Moving to a new country can be daunting for even the most adventurous of spirits, but when you have food allergies or sensitivities, it can cause the feeling of excitement to turn to dread. While celiac disease and gluten sensitivity are more related to auto-immune disorders than to true food allergies, the strict avoidance of allergens is the only way to stay healthy! I’ll admit that when we found out we were moving to Okinawa, I had no idea what to expect as far as handling my food allergy issues. I am sensitive enough that I even react to most of the “gluten free” items sold at the base commissaries and other grocery stores. I’ve been pleasantly surprised, though, by the number of farmers markets and fresh produce restaurants around the island! If you or someone you know has celiac disease or a gluten intolerance, here are a few shops and restaurants that have been friendly and accommodating when it comes to these “food allergy” issues! **Please keep in mind that gluten and the sensitivity to it are virtually unknown throughout most of Asia and that most restaurant employees will not know which items do or don’t have gluten in them. In fact, the word “gluten” does not exist in the Japanese language. You and you alone will need to be the judge of whether a food product is safe for your consumption. 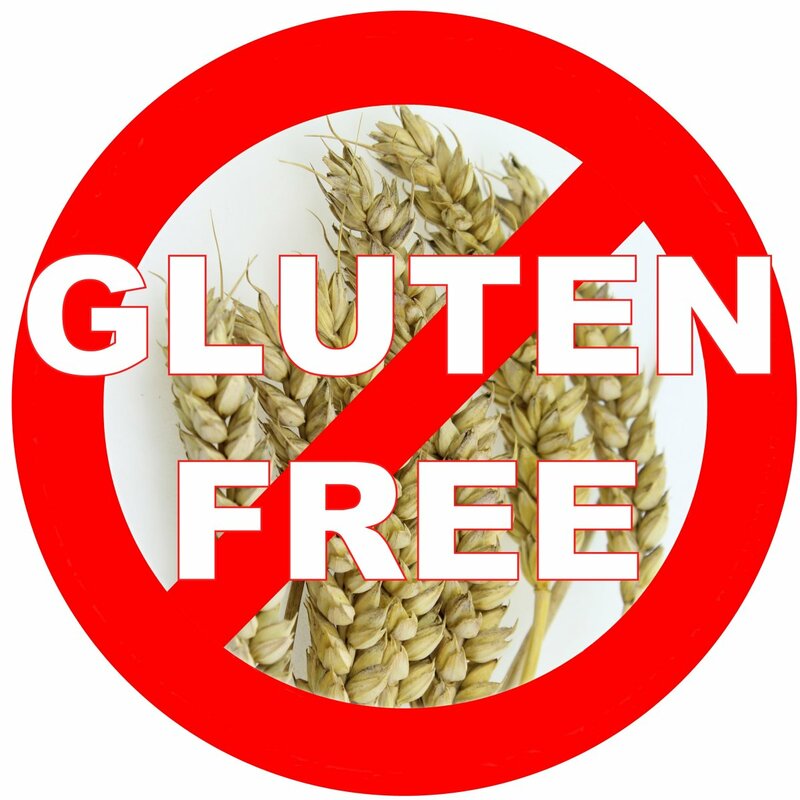 **There are a few restaurants (and packaged products) that will call themselves “gluten-free,” but since the handling of gluten is so unknown here, many of these proprietors do not understand the concept of cross contamination! Please use this solely as a guide to start your own research into places that may be safe for you! **Also, remember that Okinawans tend to be very patient and gracious with us as we try to navigate our way through finding safe foods. Extra smiles and “thank you’s” will go a long way in helping restaurant employees to want to continue helping us along the way! This market opened recently in Araha, and it’s full of celiac-safe goodies! The shop sells gluten-free items from the United States as well as from various parts of Europe and even Australia! They also have shop-made ice creams, juices, and other locally made fresh options. While the items here will be a bit more pricey than shopping from Vitacost, there’s something almost magical about being able to drive to a store to pick up an item you need instead of having to wait two weeks for your groceries to arrive. Not too far from Re: , FOOD is Green Leaf, a small shop boasting a large array of organic food options. While not every item will be safe for someone with celiac, they do carry several difficult-to-find gluten free items! Green Leaf also has a small cafe, where you can get a delicious smoothie or coffee beverage. If you find you want to shop there frequently, make sure you pick up a point card. The more purchases you make, the closer you will be to earning a “percent off” reward. If you’re new to Japanese cuisine, yakiniku is translated as “grilled meat” and refers to a broad variety of bite-sized meats cooked on a grill. Yakiniku King can be great for those with specific food allergi because they have an expansive kitchen with different areas for different types of food. While you will do the most of your ordering using the tablet at your table, it’s best to talk to the server ahead of time to let them know about your allergies. I keep a translation on my phone at all times so that I can easily hand it to the server who comes by the table to ask which set you prefer. Some of them are more knowledgeable than others, but the servers who don’t understand will typically go get a manager. Usually, that manager will bring an allergy card to let you know which items have which common allergens. When you go, it’s best to stick to plain meats and vegetables. Ask for your food to come “shiodake” (salt only), as most of the sauces will not be safe. Even the butter can have added “aminos” that contain gluten in some form, so plan to bring your own soy sauce if you want to dip! The tablet ordering system will often ask if you want sauce or salt only, but it’s best to speak with the server ahead of time as well. When cooking, remember that you are sharing a grill with the people at your table. If you are very sensitive, you may want to consider cooking all of your food first and then letting the others at your table have free reign of the grill. If you aren’t as sensitive, it may be okay for you to have one section of the grill to yourself, as long as you ensure nothing with sauce touches your designated area! Pro Tip: There are some occasions where something with sauce has made its way to our table, so do make sure that you double-check the meats that come your way. If this occurs, the servers have always been gracious and will swap it out with a salt-only item. I am extremely sensitive to cross contamination, and I have never been contaminated here! Kasthamandap Spice Kitchen is a great choice if you like curry; they have a separate area for making the naan! There are several curries you can safely order on the menu. Actually, if you let the server know you have an allergy to wheat (they do not know what gluten is, but they know what wheat flour is), they will let you know which items to avoid. All the curries have an option to come with plain rice, so you’ll have something on your plate to soak in that delicious, spiced goodness! *The person making the naan does not touch the curry and does not serve customers. I always ask for our server to wash his/her hands though, just in case. They never question me about this, and I’ve never been sick here! I’ve saved my favorite for the last because anyone who knows me knows that my infatuation with this restaurant is disproportionate. The reggae music and Araha waterfront view (especially at sunset) make for a fun and relaxing ambiance. The food, though, is truly delightful! The soup curry is loaded with healthy vegetables and a warm broth that reminds me of Grandma’s home-cooked soup. Ajitoya has two different sections on their menu. One is soup curry and one is keema. The keema curry has soy sauce and other gluten-containing ingredients, so you’ll want to stay on the “soup curry” side of the menu. I’ve tried almost every item on the soup curry menu, and I’ve never had a reaction. Even the sausage, which can often contain gluten fillers, caused no noticeable reaction! Ordering here is easy, and I never even need to mention my gluten-related issues in order to get a safe meal. All you need to do is choose your soup curry, add your spice level, and voila! I hope that this article will help you to find some new ways to explore the wonderful food options that Okinawa has to share, while also keeping you safe and healthy! If you have experienced some great gluten-free meals on the island, feel free to let us know in the comments! This post was originally published on Kari’s personal blog; we are reposting it here with her permission.